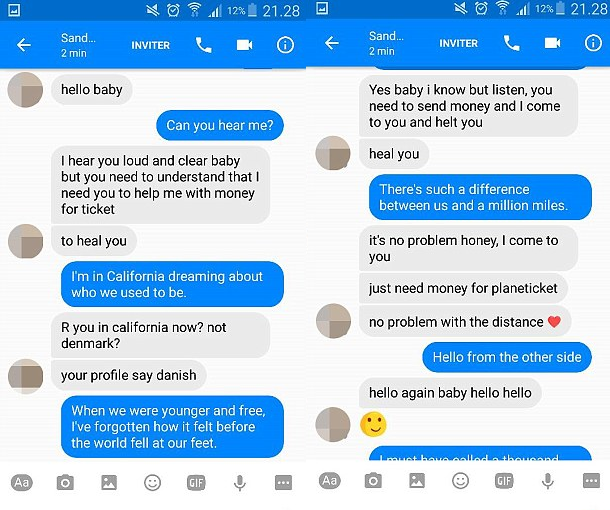 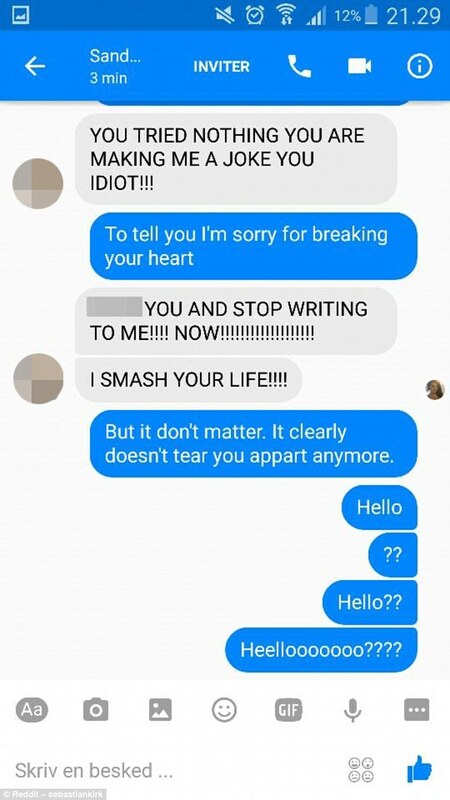 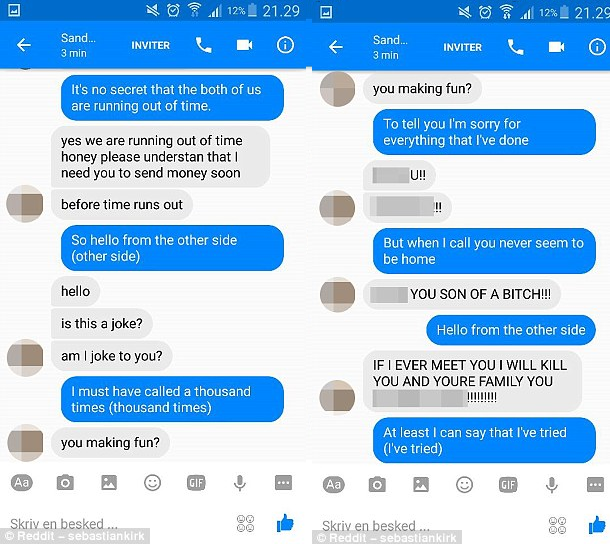 A man has found the perfect way of answering back to a scammer who repeatedly asked him for money on Facebook – by responding using only Adele lyrics. 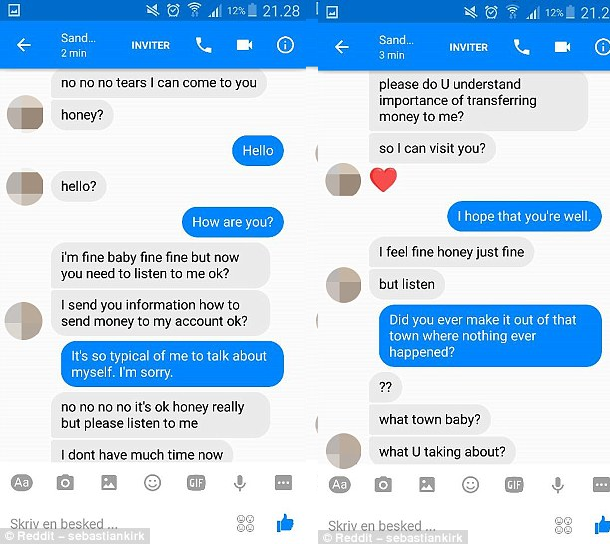 Frank Flemming Jensen from Denmark, was approached by a woman on the social network who told him she needed money for a ‘plane ticket’ to come and see him. 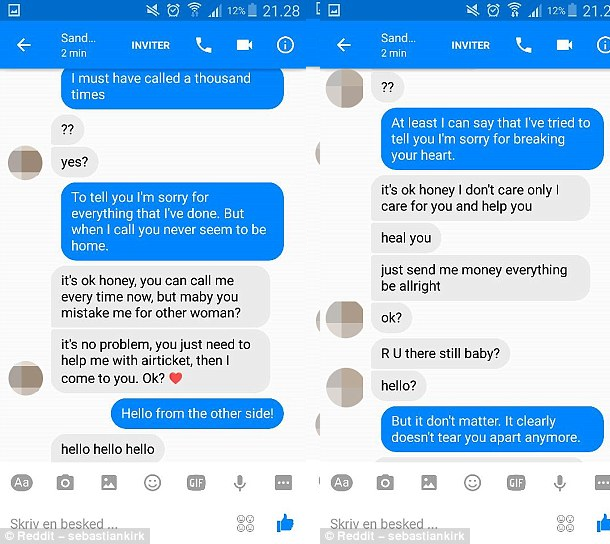 However, he was clearly suspicious of her intentions and instead of ignoring her pleas he strung her along with dozens of soppy messages taken from Adele’s 2015 hit Hello. 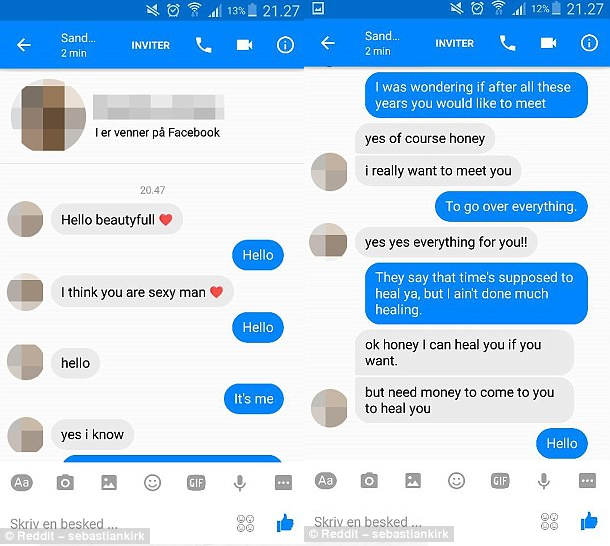 The scammer did not initially realize he was being toyed with .